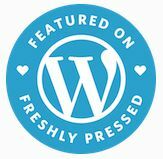 Papa and the Braves Redux | "Granny Beads and Grocery Store Feet"
Papa Wham’s Atlanta Braves cap hangs right where he left it, 15 18 over 20 baseball seasons ago. Today would have been my beloved Papa Wham’s birthday, so I’m re-running this post from a few years ago in his honor. I take my love of baseball in general and the Atlanta Braves in particular from my Papa Wham. In 1978, Granny surprised Papa with a special present when she signed their house up to be the first “Cablevision Equipped” residence on Weathers Circle. Now Papa could watch the Braves on the new Turner Broadcasting Channel out of Atlanta right from the comfort of his favorite couch instead of having to go sit in the car and listen to the games on the car radio. From that first season until I was old enough to stay by myself several years later, Papa and I didn’t miss a game through the week and I’d often make Mama take me to Granny and Papa’s on Saturday or Sunday or both so he and I could watch the weekend games together. If you call yourself a Braves fan, I have one question for you? Who are Chris Chambliss, Glenn Hubbard, Rafael Ramirez, Bob Horner, and Bruce Benedict? If you don’t know those names, you are not a Braves fan, you are a BANDWAGON jumper who attached yourself to Papa’s beloved team AFTER their meteoric rise from worst to first and the subsequent instant classic that was the 1991 World Series. Those names are the starting infielders from the 1981 Braves team that finished a miserable 15 games back of the NL WEST leaders and eventual World Series Champion Los Angeles Dodgers. Papa and I watched them all. I lay on the floor next to his couch and listened as Papa told Bobby Cox how to manage a game through the television. Papa and I claimed we would pay any price for tickets if Atlanta ever went to the World Series. For all the years we watched WTBS, however; the Braves making the post-season, much less the Fall Classic, seemed about as likely as country ham and cheese grits as the breakfast special of a kosher diner. Still, we watched faithfully. Dale Murphy was a bright spot and when he won the MVP in 1982, we two were deliriously happy. I got my license a couple of years later and stayed by myself at night while Mama worked, but come summer, at least twice a week and one weekend day I’d pull in to the driveway and run in just in time to watch some new hotshot throw the first pitch of the game. I went off to Clemson in the fall of 1990. The Braves were on their way to a fantastic finish a mere 26 games out of first. Papa and I groused about that season all winter. Then came 1991. All summer, I’d cut grass, wash cars, and ride up to Granny and Papa’s to see the Braves play. It LOOKED like they’d finally put an awesome team together, but 15 years of utter futility had taught us not to be optimistic. Still, they kept winning and by the time I went back to school, the woe-begotten Braves were making a run at the NL West pennant. I can remember this next part just as easily as if it were yesterday. I was standing in front of a big screen TV in The Tiger Town Tavern. It was after midnight; the Braves were playing the Pirates in the National League Championship Series. The winner of THIS ONE GAME, unbelievably, would go to the WORLD FREAKING SERIES. A new kid named John Smoltz pitched a complete game and shut out the vaunted Pirate batting line up — including a young (and much smaller pre-steroid Barry Bonds). The Braves were going to the Series! I almost got in a fist fight pushing my way to the front of the pay phone line (this was way before everyone had a cell phone) and called Papa. Granny answered the phone and just as I asked her if Papa was up to see the game winning run, I heard him call from the den, “World Series, Shannon; we’re going to the World Series!” Granny just laughed and took him the phone where we replayed every crucial at bat during the entire game. Unfortunately, Papa took sick later that week. I’d scraped up enough to get us tickets to at least one game, but he was under the weather and Granny said “NO.” So that was that. I ended up watching three of the seven games of the Series against the Twins with him and we were on the phone talking as we watched Gene Larkin break our hearts with the winning hit in that unbelievable game seven. Papa and I never did get to see the Braves play in any of the World Series of that awesome 15 year run when it seemed the Braves couldn’t be beaten anymore. He was on oxygen by the time little Francisco Cabrera’s pinch hit and Sid Bream’s slide sent us to the 1992 World Series, but I sat with him and together we watched Joe “Touch ‘Em All” Carter and the Toronto Blue Jays beat us. A baseball team from CANADA. The shame was too great to bear. Papa was gone by the time the Braves made the series again in 1995. He died of a heart attack in Daddy’s arms right after the All-Star break. 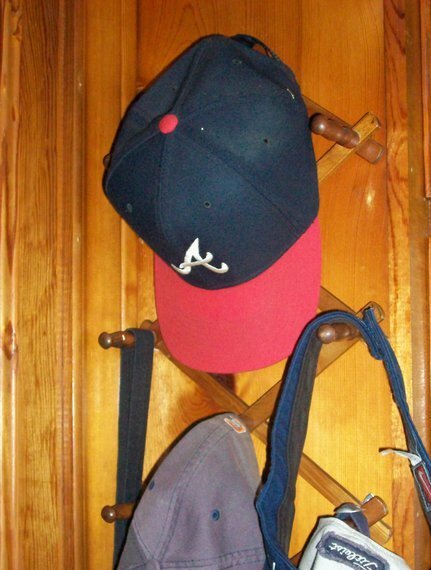 His beloved Atlanta baseball cap hung on the top peg of the hat rack in the kitchen right where he’d put it the week before . . . the last time he’d worn it before he became bed-ridden. I wanted to bury it with him, but Aunt Cathy couldn’t stand the idea of parting with it, so we didn’t. I’m glad now. It’s still right where he hung it. In two decades, it’s never been moved. Cathy will gently dust it off every now and again, but it’s waiting for him. I sat alone in tears and watched the Braves beat the Indians in game 6 of the 1995 World Series to win the only World Series they would win during their streak. The next day, I cut the box score out of the local paper, had it laminated, wrapped it in a plastic bag and buried it under the gravel in the corner of Papa’s plot. The Braves haven’t won another series since. I guess all the magic of their greatest fan just petered out once he was gone. I miss him terribly and to this day, fifteen eighteen over twenty years on, I can’t watch a Braves game without thinking of him. So to all you fathers and grandfathers out there, take in a game and make some time for each other. I love you, Papa; and happy birthday. Keep your feet clean now!